Form J941-501 is a Michigan Department of Treasury - issued form also known as the "Income Tax Withheld". 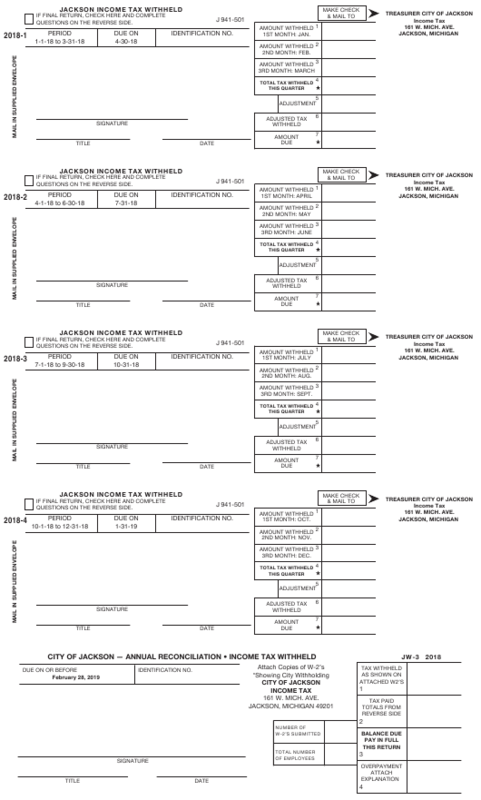 Download a PDF version of the latest Form J941-501 down below or find it on the Michigan Department of Treasury Forms website. QUESTIONS ON THE REVERSE SIDE.